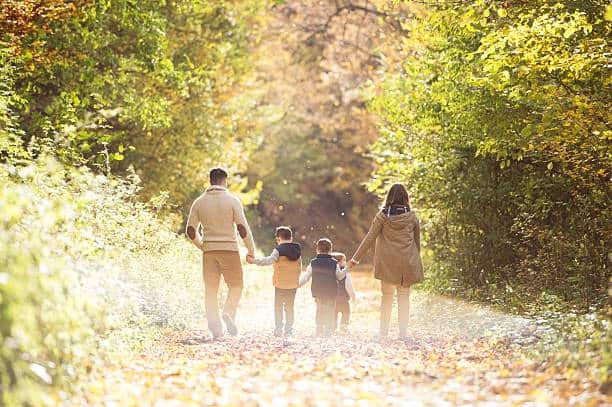 >> Importance of Nature Walk for Preschoolers: What You Need To Know! Most, if not all, parents want their children to grow up healthy, physically fit and happy. In today’s busy world, it is important to allocate time to assist kids in developing good behavior that adds to a lifelong endeavor on wellness. One of the greatest gifts parents can give to their children is to get them to play in the outdoors. In the modern world, a lot of children stay indoors playing video games, watching TV, texting on their smart phones and tablets, etc. Due to the increased access to technology and perhaps the fear of parents to let their children wander, more and more children go out less often compared to the olden days. Encourage them to feel the texture of rocks, barks of trees, and dried up leaves. These are science experiences for young inquisitive minds. 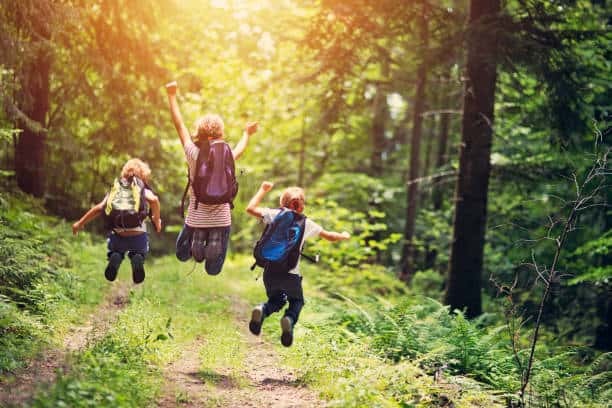 By staying in the outdoors and being surrounded by nature, children have an experience of a free flowing environment that enhances all their senses. Playing outside is vital in improving a child's emotional, intellectual, physical and social state. Our natural world may be viewed as a huge, ever-changing learning place. Children are naturally inborn scientists and they like to discover new scents, sights, sounds and textures of the outdoors. Nature gives numerous chances for making discoveries, being creative and solving problems. By being in the outdoors, children have an opportunity to learn by performing and experimenting on different ideas. In a natural environment, a child thinks, questions and forms a hypothesis about a situation, resulting in an inquisitive mind. It surely feels really great being in the outdoors. Children have a chance to freely explore, wander and interact with other children. These are interesting self-expression acts that are usually restricted in an indoor environment. In a natural environment, kids can jump, hop, skip rope, climb, run, and roll, make noise, and so on. Such activities bring relaxation and reduce stress and anxiety. 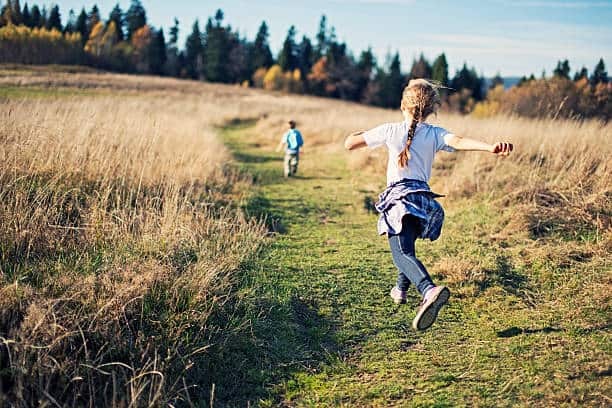 Scientists have discovered that playing outside calms children who suffer from Attention Deficit/Hyperactivity disorder. Additionally, nature stimulates a peaceful state and usually enhances nurturing behavior in kids. By playing in the outdoors, children may get a chance to interact with their peers. 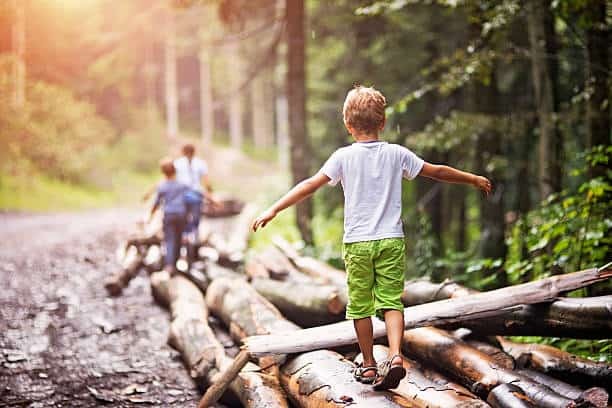 In a natural environment, kids may play in solitude or connect with others and learn how to share and solve problems. Nature allows kids to collaborate to create games and rules as there are no set instructions. School-going children are able to create their own rules and solve problems when they're not in close proximity to grownups. At most times when playing outside, boisterous kids might learn to calm down and become gentler. Furthermore, they may learn how to be emphatic and console a friend in need. Nature is full of fresh air which is invigorating and provides countless opportunities for children to engage in physical activities. Being physically active enhances a strong body. Kids are exposed to sunlight which means that the Vitamin D in their bodies gets to be synthesized. Vitamin D has numerous benefits which include the creation of a strong immune system. In a natural environment, children get to be physically active and this may help in burning calories and enhancing overall fitness. Tip: While small kids benefit in numerous ways from playing in the outdoors, they still require adult supervision. Your kid's outdoor play will be even better if you participate as well. As a concerned parent, you should give guidance as your young one explores new activities that might look difficult. In conclusion, there's a collective advantage of being in the outdoors. Kids across the world play in nature, forming a unity of common experiences. Children are the future generations of the earth. In order to bring up adults who care about nurturing and protecting the natural environment and preserving our planet, they need to first develop a passion for it. Also, if you want to know about stargazing for kids, you have an amazing article about that too!